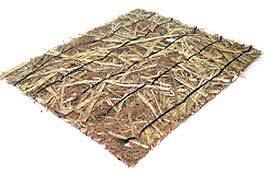 DSC 2 consists of 70% agricultural straw and 30% coconut fiber bound stitched on both sides by photodegradable polypropylene netting with openings of 3/8 in. x 3/8 in. 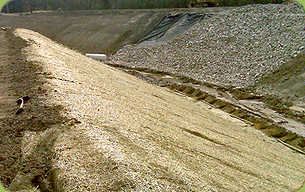 DSC 2 is designed for steeper inclines and higher-flow situations. DSC 2 is considered an extended-term solution that degrades in ± 2 years.